A Luxury Hot Air Balloon Ride: Did you ever dream of having a wine tasting in the air ? We make it possible and we will organize the best time of your life. 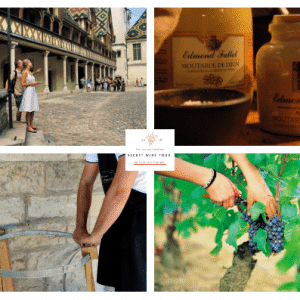 While enjoying the beauty of France Burgundy landscapes you will taste the finest Burgundy Wines. We will pick you up at your hotel early in the morning and bring you to the hot air balloon meeting point. 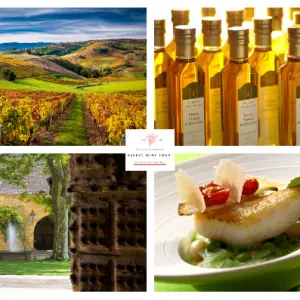 You will be expected to start your Private Luxury Hot Air Balloon Ride and then take off for an hour and a half ride through Burgundy’s incredible perspectives. At dawn, after attending the preparation of the hot air balloon, you’ll start this amazing adventure . Watch wild and farm animals, enjoy our fabulous Architectural Heritage and feel freedom ! After leaving the sky, we will come back to heart and travel along the vineyards of Burgundy to give you a terroir lecture so you can figure out why wines are so different depending on what soil, climate and vine culture. After this amazing experience, we will go for lunch in a beautiful traditional restaurant. You can taste to our finest gastronomy as for the “jambon persillé”, our Boeuf Bourguignon and don’t miss those beautiful cheese. 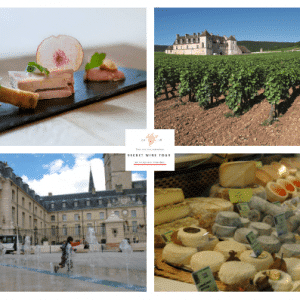 After tasting our marvelous France Burgundy gastronomy, we will take you to a family winery to complete your wine tastings and discover wine making process. You will have the opportunity to ask the wine maker all the questions about wine culture. Ready to follow us ?